This portrait project is very special to me. The intimacy and bond between a mother and her baby is so intense that I cannot even find the right words to describe it. 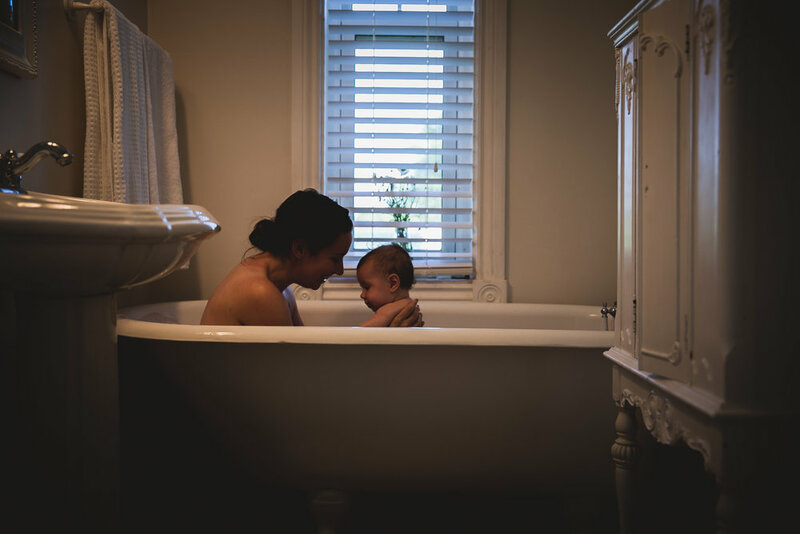 As a mother, I remember the feeling of love and the bond created with my babies during the skin to skin bonding. 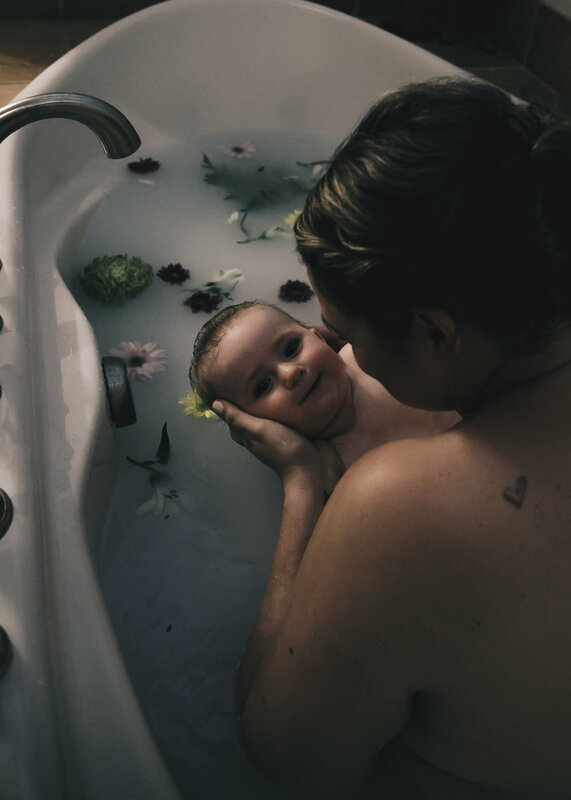 I miss those moments, the baths together, the touch of their tiny hands finding skin for comfort, and having them nestle into me. It is the tiniest fingers and toes that have the largest impact on your heart. Let me capture these moments for you. So you can have the feelings and memories captured artistically for you to remember for years to come. I can’t get over how beautiful this image is. 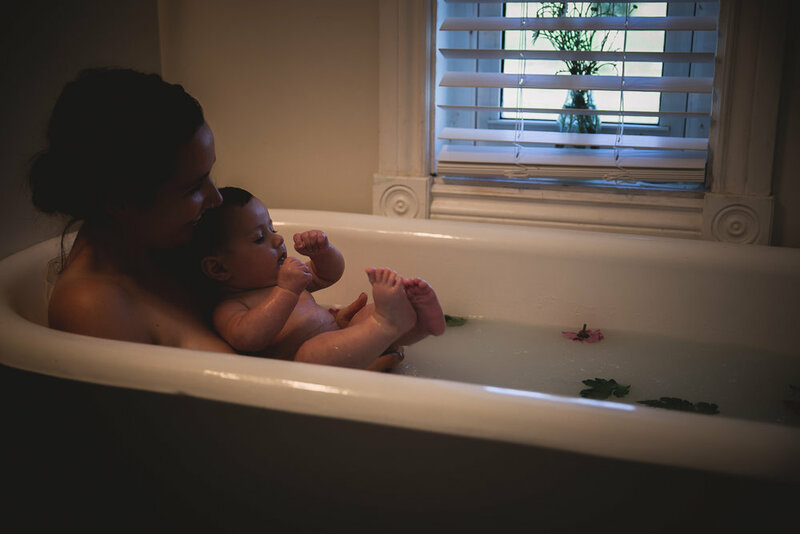 Crystal did an amazing job capturing the beauty and magic of breastfeeding my baby in the tub. 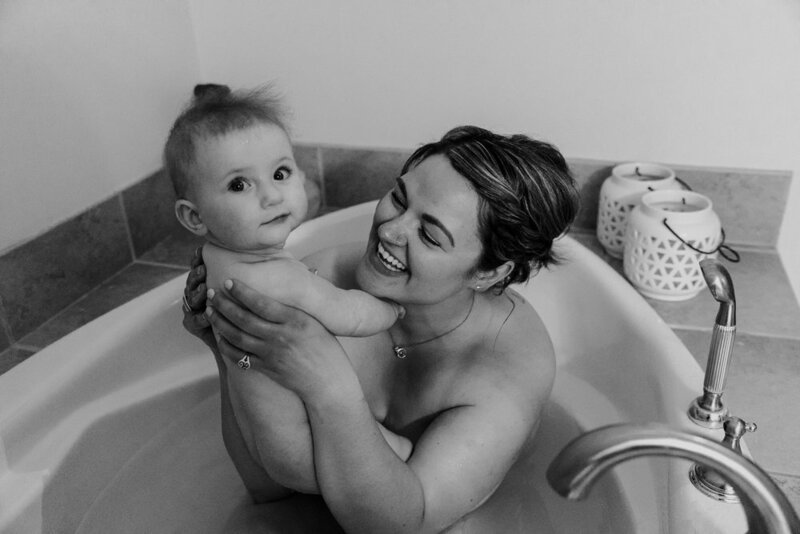 For the last little while I have wanted to get breastfeeding photos done to document our journey together and to be able to capture the bond we share thorough our nursing sessions. 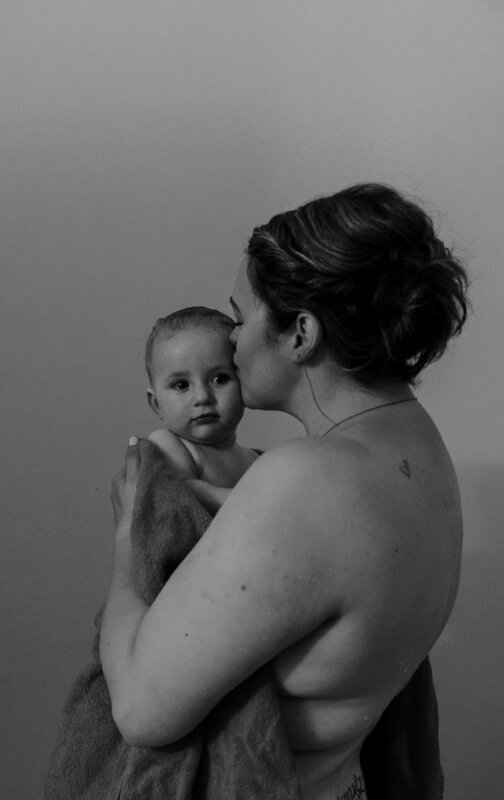 However, I was reluctant to book a nursing session as I was unsure how I would be able to pose myself in a graceful way and not look awkward or uncomfortable (how I often feel feeding wilder in public, or without a pillow to prop him up). 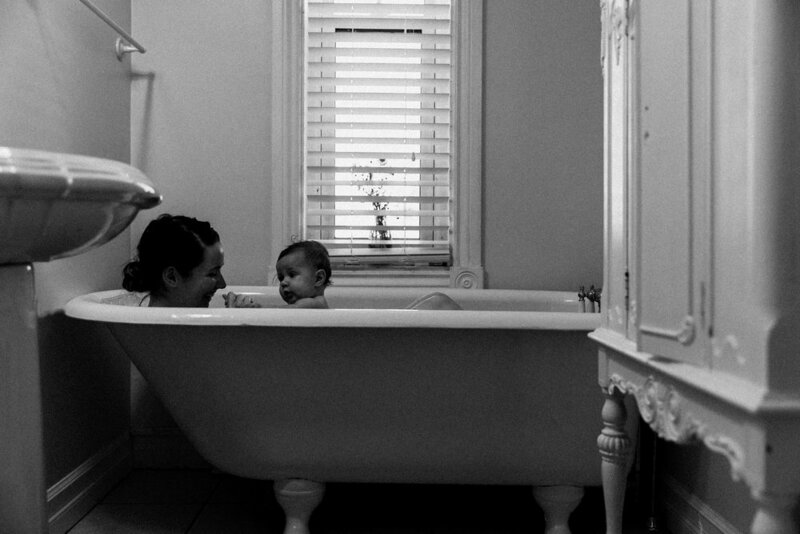 But when I saw Crystal’s milk bath bonding photography, I knew right away this was the perfect opportunity! 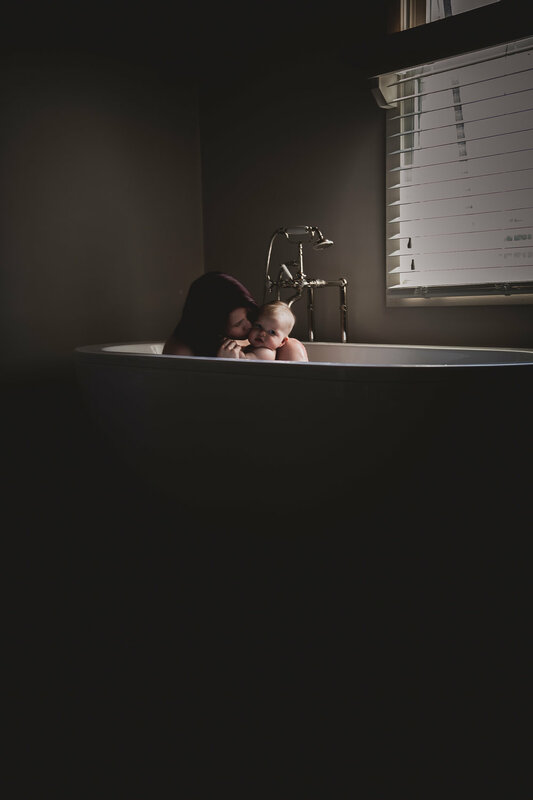 Being in the bath I was instantly more relaxed and comfortable and it felt more natural of a place to nurse wilder than anywhere else I had pictured for a nursing photo session.